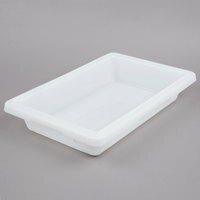 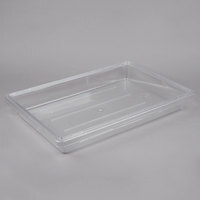 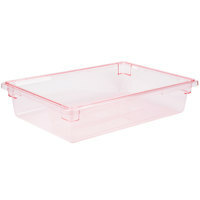 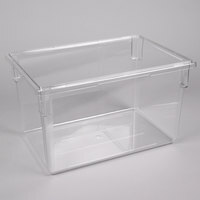 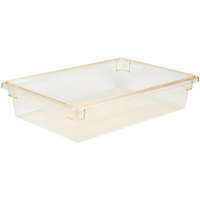 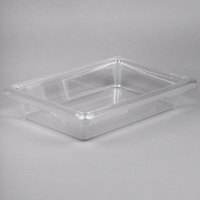 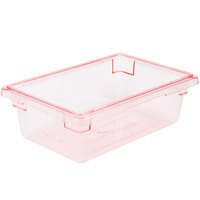 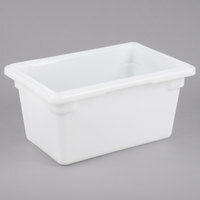 These Cambro containers are useful additions to your commercial kitchen’s storage supply! 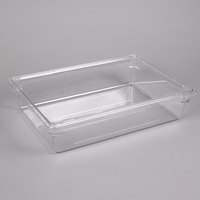 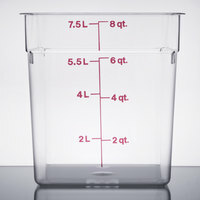 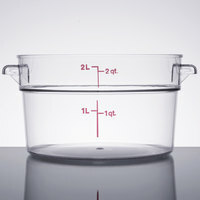 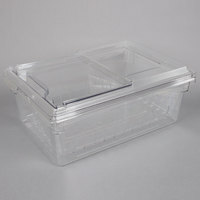 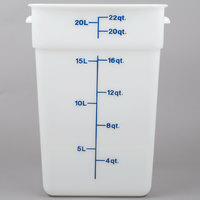 Whether you’re holding broth for soup, prepared sauces, dry ingredients, or other leftovers, you can be sure these Cambro storage containers will preserve your products’ freshness until you’re ready to use them again. 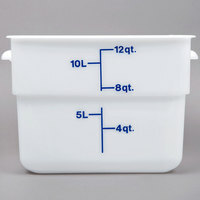 Keep flour, noodles, or dried beans stored in your pantry, or use the freezer safe containers to hold perishable items in your refrigerator or freezer. 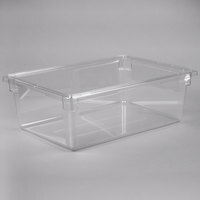 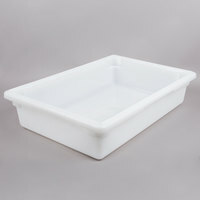 These Cambro containers are also ideal for transporting bulk amounts of veggies, lettuce, and other toppings from your kitchen to the salad bar. 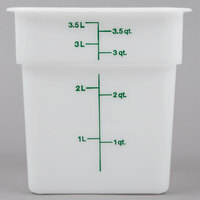 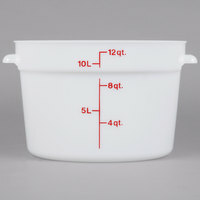 Many bins come with graduated markings so staff can easily see how much product is remaining. 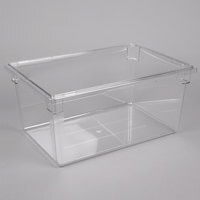 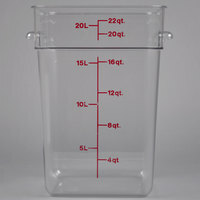 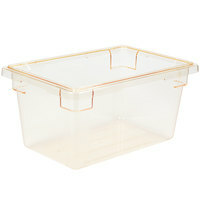 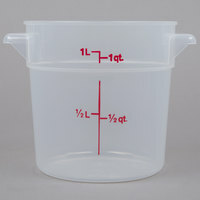 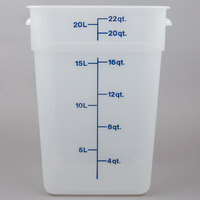 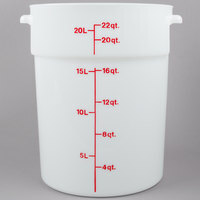 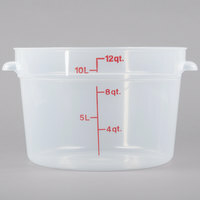 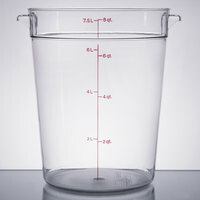 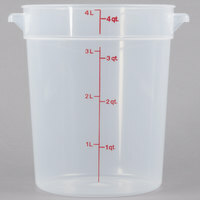 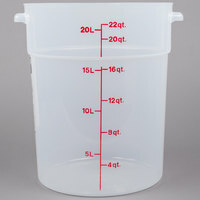 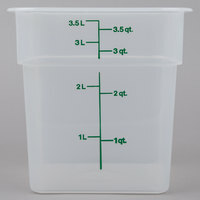 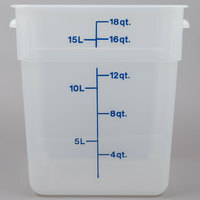 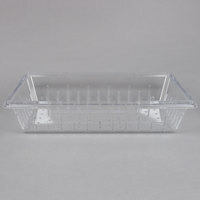 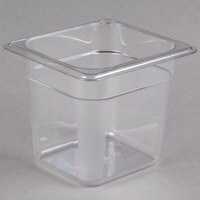 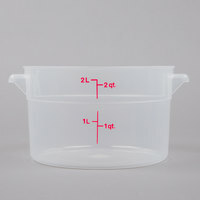 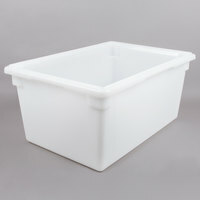 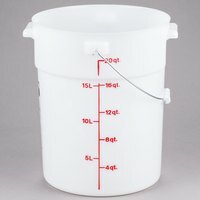 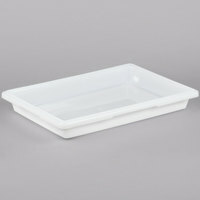 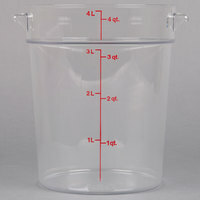 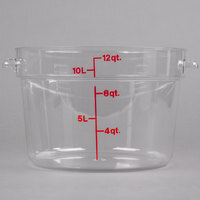 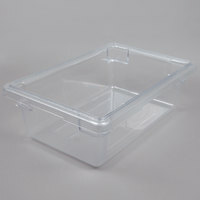 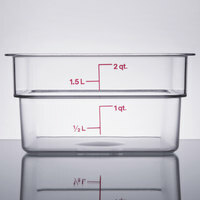 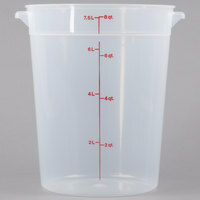 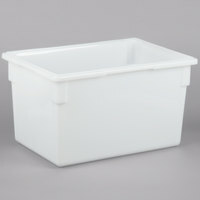 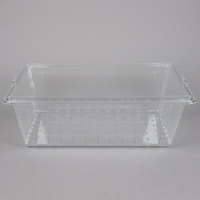 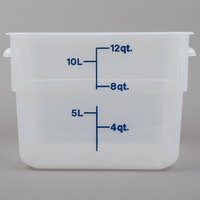 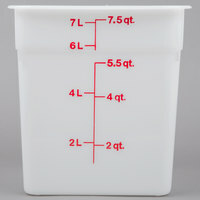 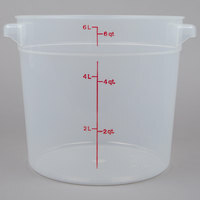 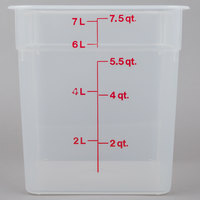 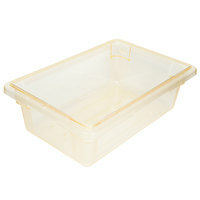 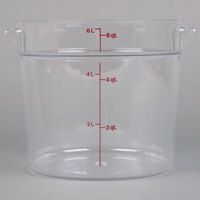 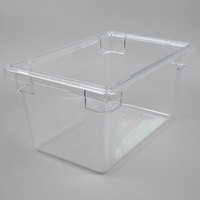 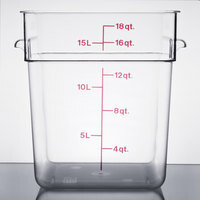 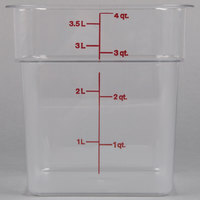 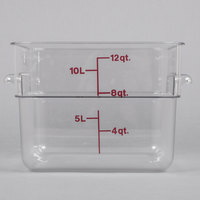 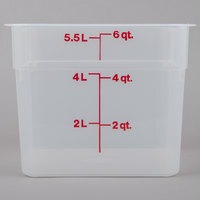 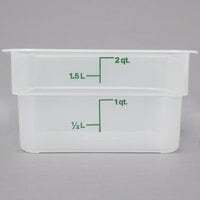 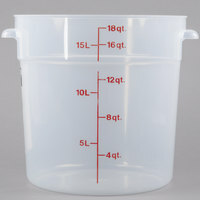 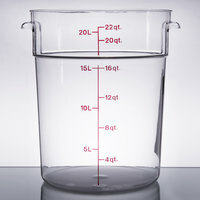 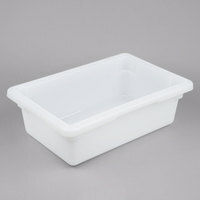 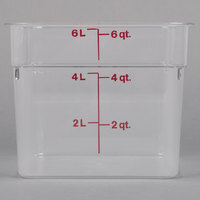 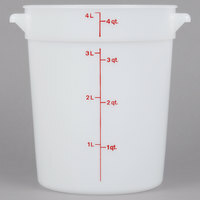 Your employees will also appreciate the convenience of these containers, since most are NSF Listed and dishwasher safe.